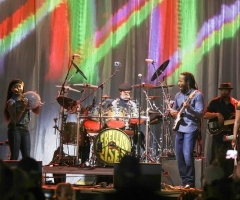 Every year, San Diego residents always wait with baited breath to hear who's going to be performing at the renowned Del Mar Racetrack in their famous free summer Concert Series. 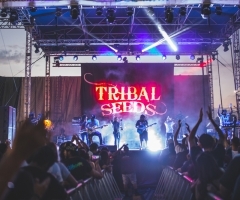 Year over year, more and more reggae acts keep gracing the racetrack stage and veterans Iration did the honors of kicking one of the premiere summer shows off! 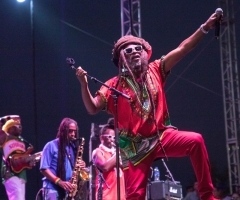 July 21st, 2018 marked the first Saturday of the season and right after the last race wrapped, a hoard of reggae-rock lovers headed over to the erected stage just beyond the track. Hip hop enigma Tyrone's Jacket opened, zigzagging around the stage with impressive energy. With spoken word monologues interjected between tracks, Tyrone's Jacket stole the show, with DJ Ry Toast scratching to the beat. ... Iration did the honors of kicking one of the premiere summer shows off! After the TJ crew finished their transformative set, veteran Del Mar headliner Iration took the stage to uproarious cheers. With sing along radio hits like "Reelin" and "Hotting Up", the crowd was entertained from beginning to finish. The Iration boys definitely brought their A-game to Del Mar that night! 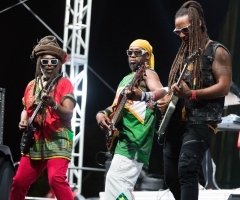 With so many great reggae Concert Series shows to go, the summer season definitely is off to a "Fly With Me" start!